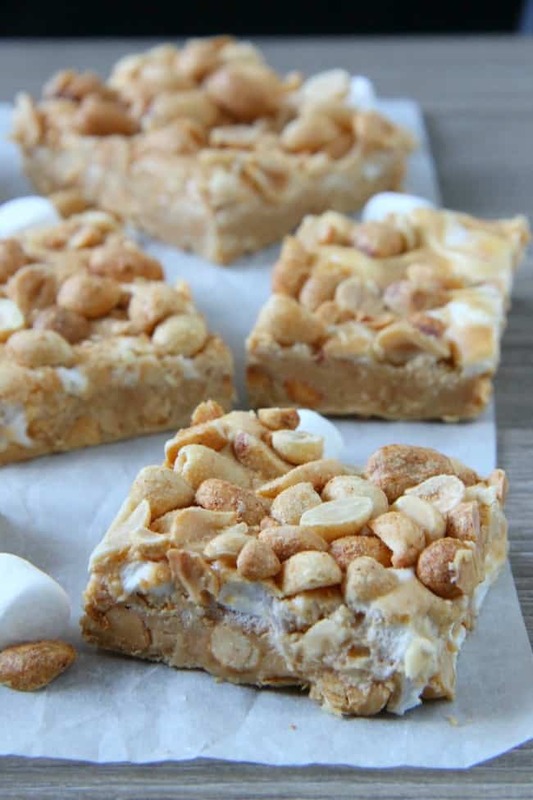 Salted Nut Roll Bars are a candy classic made into a delicious ooey gooey bar! 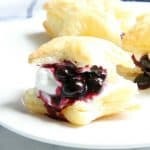 Filled with peanut butter and marshmallows, the whole family would enjoy it! 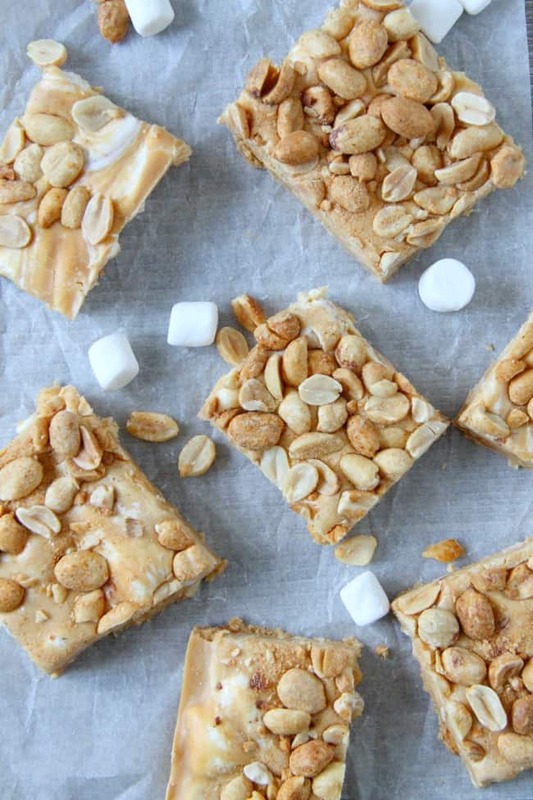 If you have ever eaten a salted nut roll then you are going to love these bars! 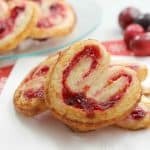 They are the perfect alternative if you want to feed a crowd of people or for your dessert table! 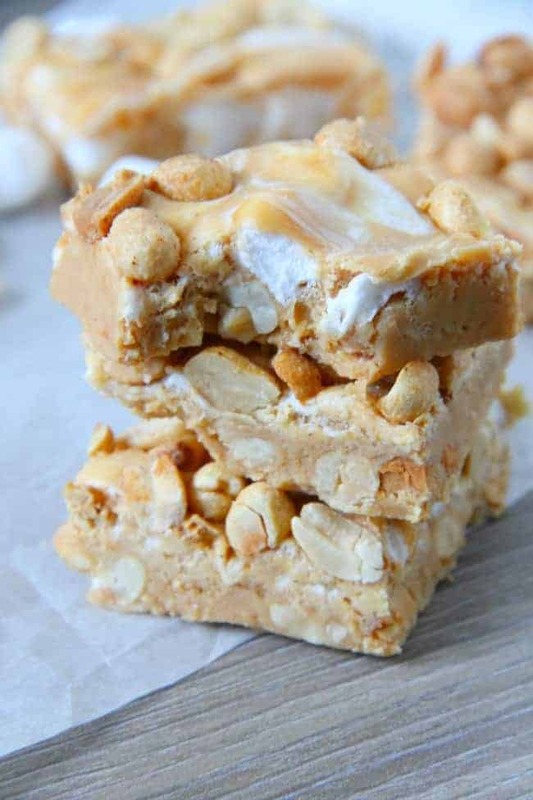 I didn’t really grow up eating salted nut rolls but I do love the flavors of peanut butter and marshmallows together! It’s sweet, rich and delicious! 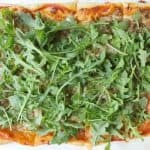 This recipe comes from my fellow Minnesotan food blogger Allison the blogger behind TornadoughAlli. Her book of mouthwatering dessert recipes is a must-have for baking season this year. 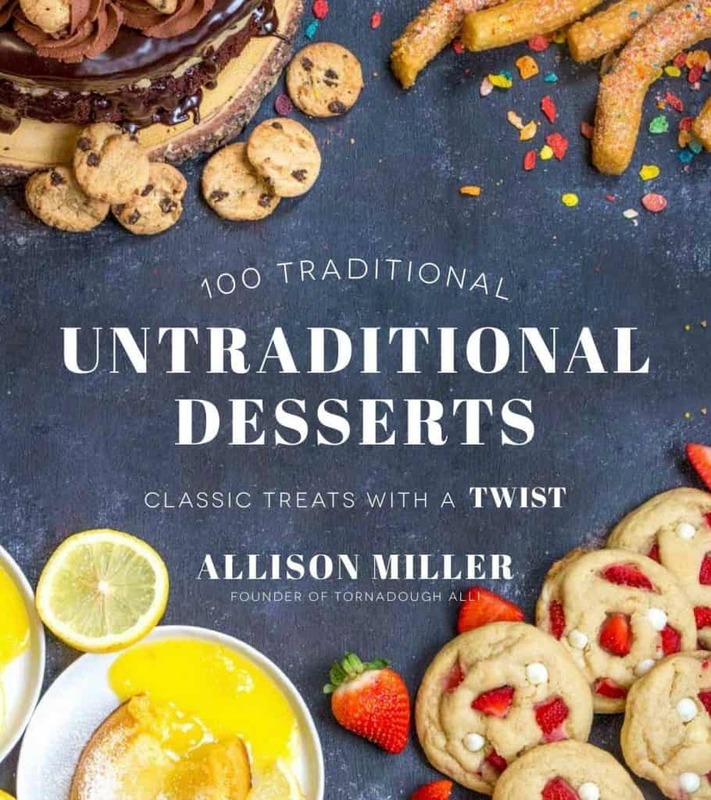 It’s up for grabs as of today too ——> Untraditional Desserts 100 Classic Treats With A Twist. Look how pretty the cover is AND all the photos were done by her! She is so talented! 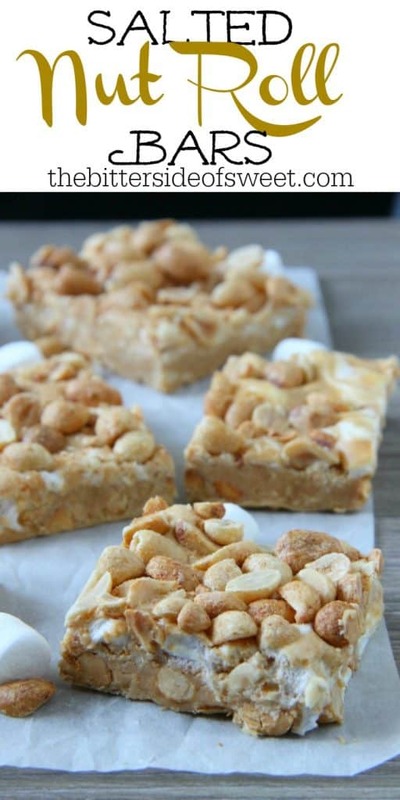 These bars are you need only a few simple ingredients! salted roasted peanuts are a must. I normally buy unsalted so it was really hard to buy the ones with salt on them but I am glad I did! my favorite grocery store had bags of peanut butter chips on sale so I went nuts and grabbed a bunch! make sure you get sweetened condensed milk and not evaporated milk! Sometimes people confuse the two. work quickly because your marshmallows will continue to melt in your peanut butter sauce. Because I was baking a lot of treats I decided I didn’t need to eat all of these right away. I froze my bars so that I could enjoy them throughout the season. Wrapping them up in wax or parchment paper will help them not dry out. You can eat these frozen, still cold or at room temperature. 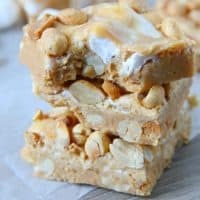 I tried all three ways and enjoyed room temperature bars the best! Line 9x13 baking pan with parchment paper. Spray with non stick cooking spray. Add half the peanuts. Set aside. In a large pot over medium heat add butter and melt. Add sweetened condensed milk and stir till completely combined. Add peanut butter chips and continue to stir till melted. Stir in marshmallows and cook till puffy. About a minute. 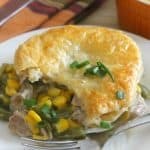 Remove from heat and pour into baking pan. Working quickly spread out. Top with remaining peanuts. Press down gently.